The owners were stuck on what to do with their patio to compliment the panoramic ocean view. They disliked the original clay tiles so we tore them out and installed a beautiful grey and taupe porcelain tile. Red is a favorite color of the family so we grounded it with black and added white for brightness. 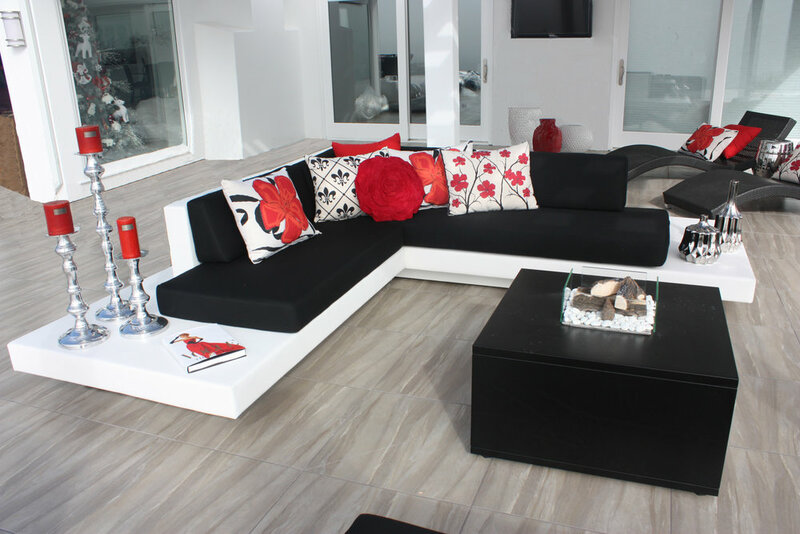 Custom designed furniture, a fire table for atmosphere combined with chrome, red and white accessories finished the look which spanned onto the pool decking and to the concrete bench that also serves as a retaining wall.